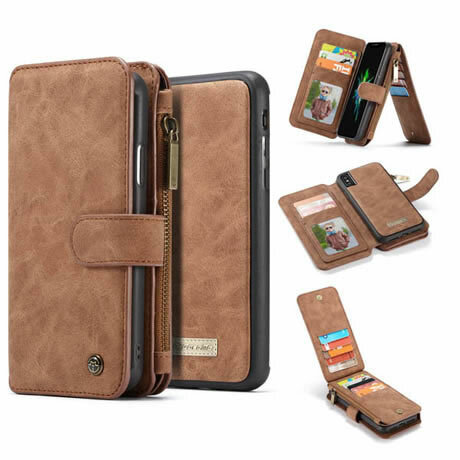 Free Shipping, Buy Genuine Original CaseMe iPhone 9 Plus Magnetic Detachable 2 in 1 Multi-functional Zipper Leather Wallet Case at Official Casemecase.com. 14 Card Slots + 1 Zipper Coin Pouch. – Magnetic clasp snaps firmly closed,provides 360° protection. – The soft case can cover the edges of both side. Help to Protect the back side and front screen.